When the weather outside gets frightful, it can be more than uncomfortable for pet birds and their owners. Since most pet bird species hail from geographic areas that have warm, tropical climates, a drop in temperature can be devastating to both comfort and health for a parrot. Read on to discover why cold weather can pose such a problem for pet birds, as well as tips to help you keep your own feathered friend safe, healthy, and comfortable during the icy winter months. What's Your Bird's Native Climate? Think about it: where did your pet bird come from? Although he or she was likely captive bred, it's a safe bet that most bird owners keep pets who originate from temperate regions that stay fairly warm year-round. Macaws come from the rainforests of South America, Ringneck Parakeets come from comfortable climates in India, and African Grey Parrots obviously have their origins in the warmest regions of Africa. These types of birds are simply not designed to cope with harsh winter temperatures, and their health can suffer as a result of being exposed to cold air. That said, it is extremely important to make sure that your pet bird is well-protected from any major drop in temperature. Simply put, it can be dangerous to expose a bird to an environment that is kept at any less than 65 degrees Fahrenheit. Even a quick burst of cold air from a drafty window can stress a bird's immune system to the point that the bird can become susceptible to illness. Keep your bird safe by making sure that his or her environment stays warm and toasty, no matter what the conditions are outside. Unless your home has central heat and air, providing a comfortable temperature for your bird, many times, is easier said than done. Building a fire in a fireplace is out -- not only does an open fire pose the risk of burns for a bird out of its cage, the smoke from burning wood is a health hazard to a pet bird in and of itself. Birds have extremely sensitive respiratory systems and can be easily overwhelmed by any source of smoke or fumes. For this same reasons, many space heaters are also a poor choice for heating pet birds. Some are treated with a non-stick coating, which gives off fumes that are known to be lethal to pet birds. Some are non-electric and run on gas or kerosene, which also produces gases in the air that could kill your feathered friend. These issues aside, there are in fact several other ways to provide safe heating for pet birds if your home is not equipped with a central heating unit. As long as you remember to keep tabs on the temperature in your bird's environment and keep safety as your top priority, it's okay to get creative. Keeping your bird warm during the winter is only half of the equation when it comes to helping your pet make it through the colder months safe and sound. It can be easy to forget that most home heating techniques make the air inside very dry, effectively robbing a bird of much-needed humidity in its environment. Low humidity levels can lead to dry skin, brittle feathers, preening issues, and more respiratory problems if not accounted for. 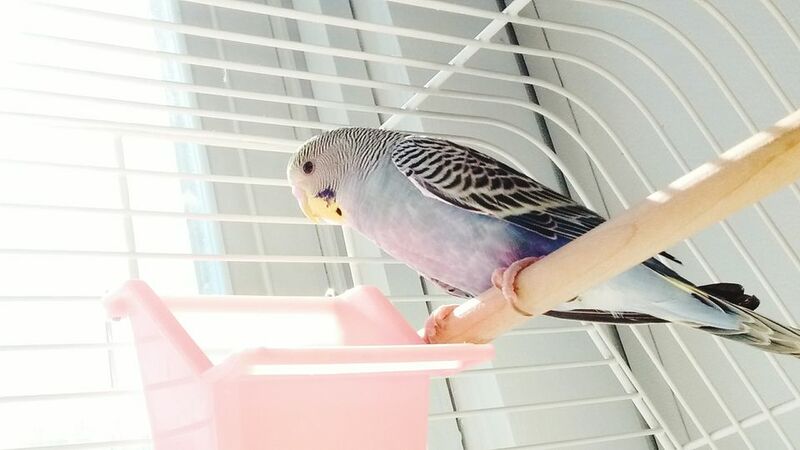 The humidity problem is much easier to solve than the issue of heating itself -- for example, bird owners can opt to purchase an electronic humidifier and place it the room where the bird's cage is located. If this isn't an option, keeping up with a good misting schedule can be an equally effective remedy. Most birds enjoy and benefit from a good daily mist anyway, so this shouldn't be a difficult step to work into your routine. By taking a proactive stance on keeping up with your winter bird care techniques, you can greatly reduce your pet's risk of illness or death during the frostier times of the year. Doing so can do much more than save you stress, money on vet bills, and heartache—it can help you ensure that you and your bird get to spend many more happy, cozy winters together.